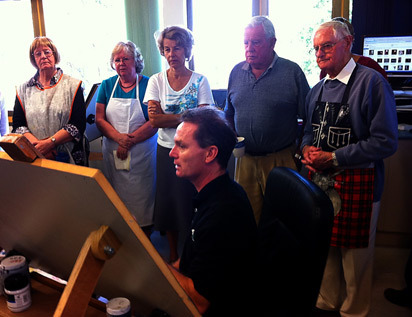 I am the resident artist and tutor at the Tony Clarke Fine Arts School. I am also honoured to be a professional artist exhibiting with the Wilcox Gallery in Jackson Hole, Wyoming, USA. With my 12 years experience in developing art tuition for both adults and youth, I enjoy the challenge of helping artists to achieve their goals. The school offers 7 classes per week to suit any schedule. The school specialises in realism (paintings/drawings that look like their subject) Looser styles such as impressionism and abstract are also embraced, with reference always being given to what the student sees, and relating the expression to that experience.